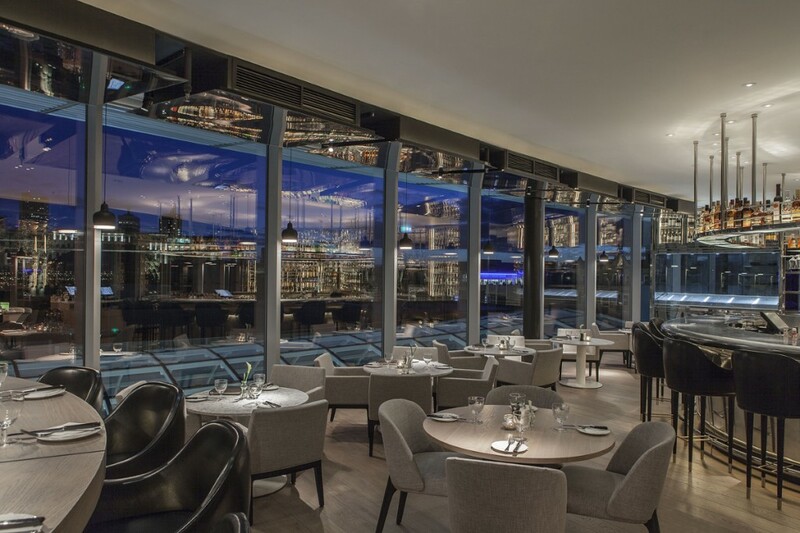 Operated by D&D, Angelica is the relaxed bar area / grand café accompanying the Crafthouse restaurant at the top of the Trinity Leeds shopping development. 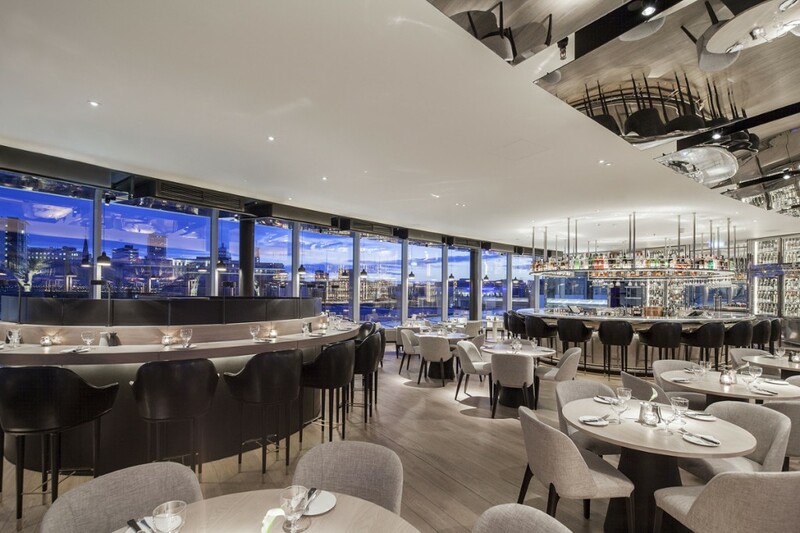 Aside from panaromic views, the bar is considered the focal point of the space and needed to be illuminated to reflect this. 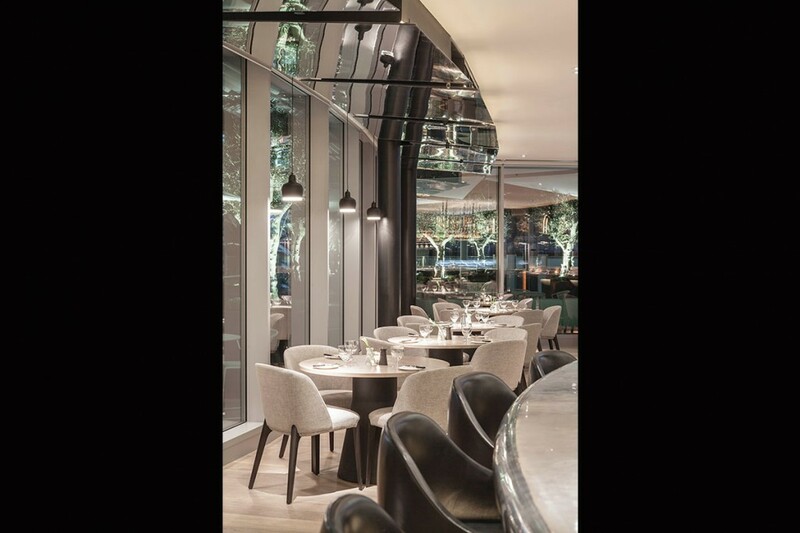 The bar area involves multiple layers of lighting: concealed linear LED details to the bar nosing and bottle gantry, low-glare recessed downlights located directly above and to the perimeter of the bottle gantry. A bespoke LED solution was designed by into for all wine display units and overall lighting creates a dramatic backdrop to the bar area. 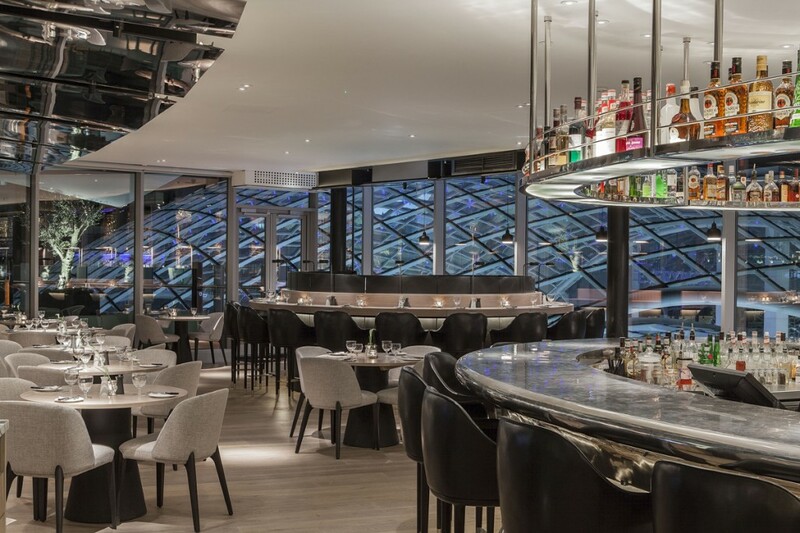 Black track-mounted spotlights are concealed between gaps in mirror panels around the perimeter of the space to illuminate tables and provide minimal glare and reflections within the glass. All LED lighting is DMX dimmable to ensure smooth dimming to low levels. 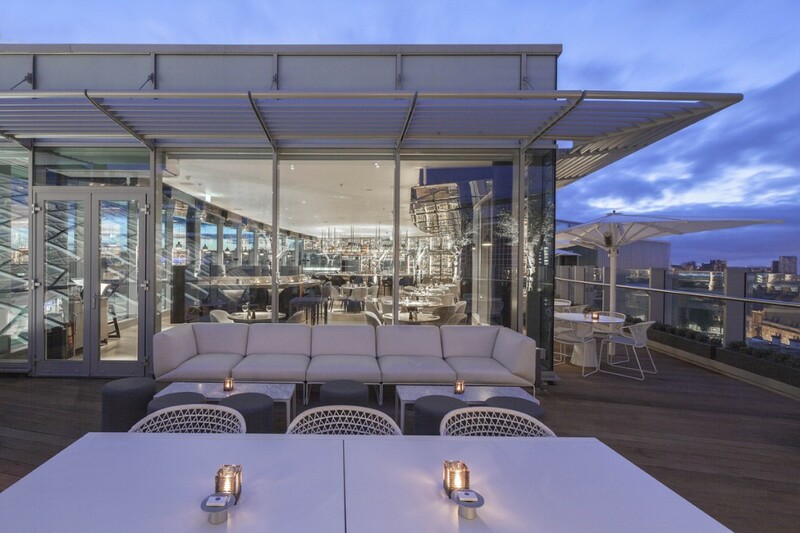 An inviting bar setting at night that can be seamlessly converted to a grand cafe during the day. Focal points are created through careful design, and above all, lighting remains subtle to keep the main focus on the surrounding view.